In order to hold their own against the online competition there is considerable pressure on retailers at present to come up with new ideas. 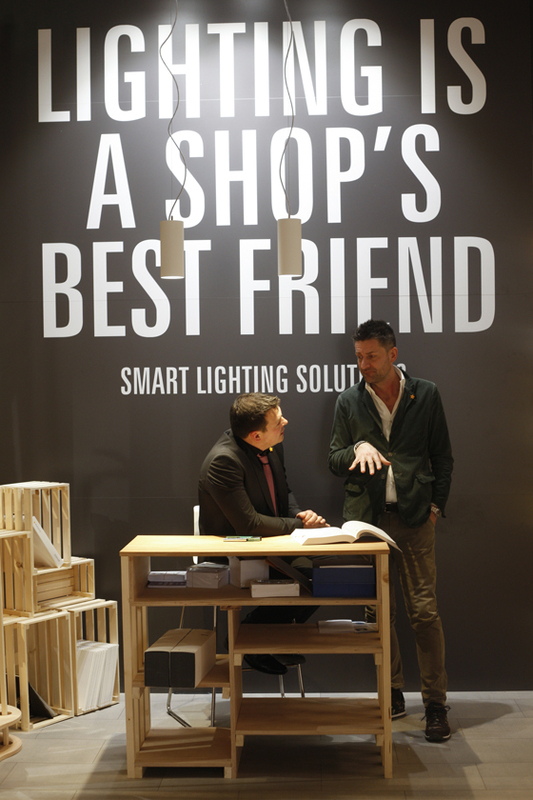 Thanks to modern shop fitting concepts and the latest developments in the area of digitalisation and intelligent lighting, however, the possibilities for this are more wide-ranging than ever. For example, with its redesign of the KaDeWe in Berlin the Dutch firm of architects OMA are revealing how contemporary shopping can function. Over the coming years this venerable department store will not simply be renovated but entirely re-conceived: the aim of the architecture will be to establish an identity, goods are to be showcased and the quality of a visit to the store is to be enhanced, so that shopping becomes an enjoyable experience for the customer. 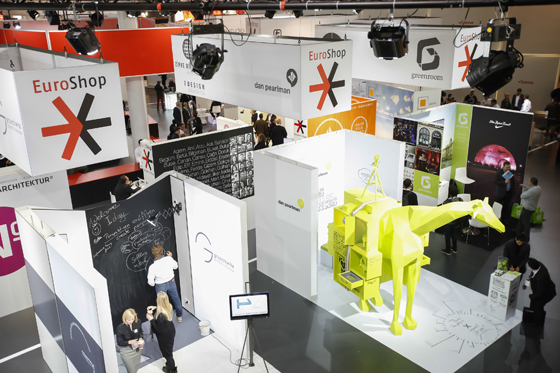 The creation of such experience worlds is also the focus of the EuroShop tradeshow in Düsseldorf: from 05 to 09 March 2017 it will be the forum for decision-makers from global retailing, together with architects, planners and designers - showcasing the trends of the future and visions for the retail business with spectacular presentations. The right light and the related possibilities are increasing in importance. At EuroShop the special "Lighting Designers Zone" and "Italian Lighting Lounge" provide inspiration and specialist know-how in addition to the lighting "Dimension"
Held by the Düsseldorf trade fair organisers for the first time in 1966, today EuroShop is the world's largest capital goods tradeshow for the retail industry and its partners from all over the world. Every three years they get together to exchange experiences and present the latest ideas and products. The organisers have big plans for the coming tradeshow, enlarging the available space from 16 to 18 halls and optimising the overall concept. Instead of the previous four-segment structure, seven so-called "experience dimensions" will be created, covering all aspects of retailing and opening up potential for synergies. Visitors will be offered a very diverse spectrum of themes, including POP Marketing, Expo & Event Marketing, Retail Technology, Lighting, Visual Merchandising, Shop Fitting & Store Design and FoodTech & Energy Management. 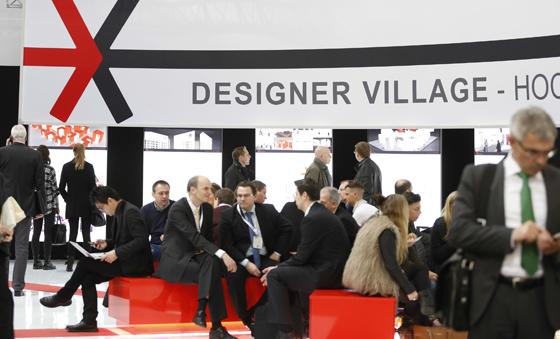 The highly diverse, international trade fair stands will be supplemented by special features such as the Designer Village, in which architects and designers present their latest interior design products and concepts, together with the Lighting Designer´s Zone and the Italian Lighting Lounge. 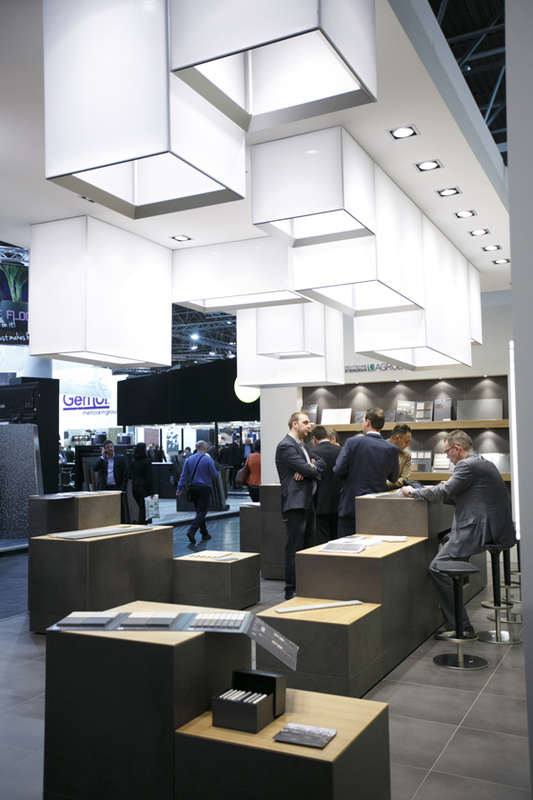 With these two latter features EuroShop is creating a major focal point in the lighting field. Thanks to the latest LED technology, lamps are nowadays capable of much more than simply lighting up the interior. Artificial light is dynamic and intelligent, can create moods or, as 'human-centric lighting', can replicate the phases of daylight and accordingly increase the well-being of customers and staff. In order to provide visitors with a realistic and atmospheric picture of these lighting design possibilities, during the tradeshow lamps and lighting systems will not just be on display but their effects on the individual space will also be showcased. A further highlight, in particular for architects and designers, is the presentation of the annual EuroShop Retail Design Awards in recognition of outstanding retail outlet design. In 2016 the award went to the Vitra & Camper Pop-up project, which was held in the summer of 2015 in cooperation with the Berlin firm of Kéré Architecture on the Vitra Campus in Weil am Rhein. In this project the architects, the Spanish shoe brand and the Swiss furniture manufacturers combined the possibilities of analogue and digital shopping: the physical experience was enhanced by light-controlling apps and technical systems which provided additional information on the size and fit of the product, and suggested similar models to the customer. It is not surprising that the jury decided in favour of this particular concept, because the digitalisation of retailing is playing an increasingly important part. From the vegetable scales to the changing room, today virtually anything can be optimised by means of digital systems. Whereas at the beginning of this development the concentration tended to be on eye-catching gimmicks, nowadays the focus is on simplicity of use and seamless integration into retail strategy and shop fitting. 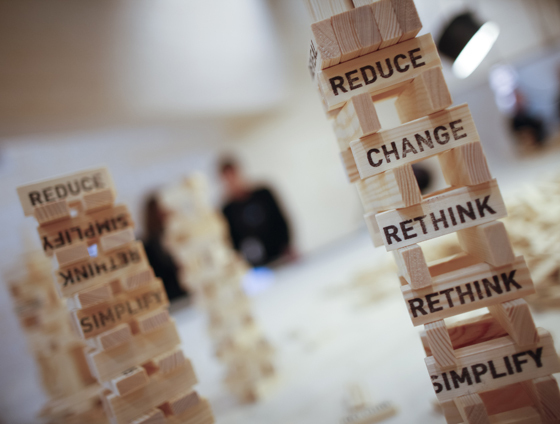 In the so-called 'omnichannel' age the combination of the online world and bricks-and-mortar retailing has already begun to establish itself, and accordingly this represents a further focal point of the tradeshow. 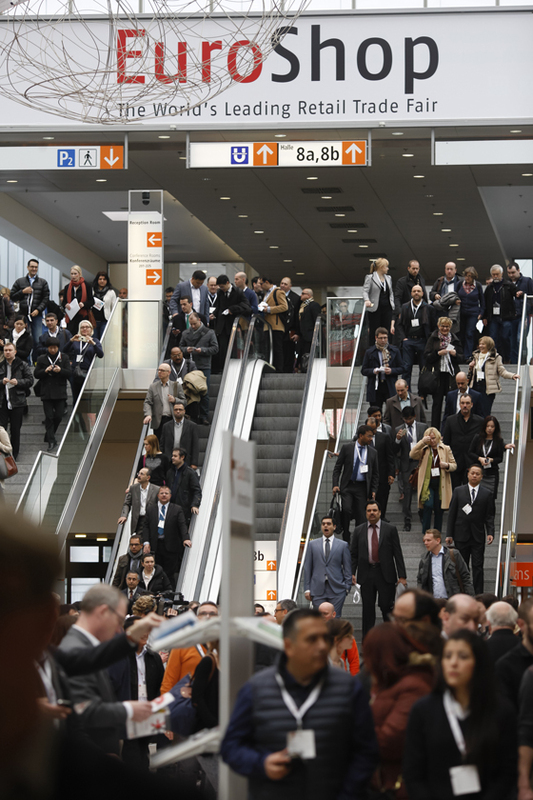 In addition to presentations and exhibitions, the fair provides opportunities for dialogue on current subjects and trends in the form of a number of platforms such as the Omnichannel Forum, the Architecture & Design Forum and the EuroCIS Forum. 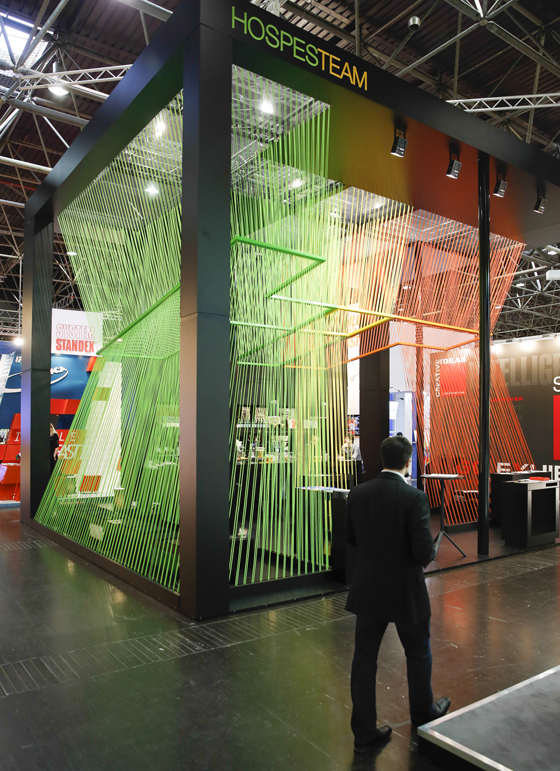 Visitors can look forward to learning what visions for the future of retailing the 19th EuroShop in Düsseldorf will have in store for them next year.